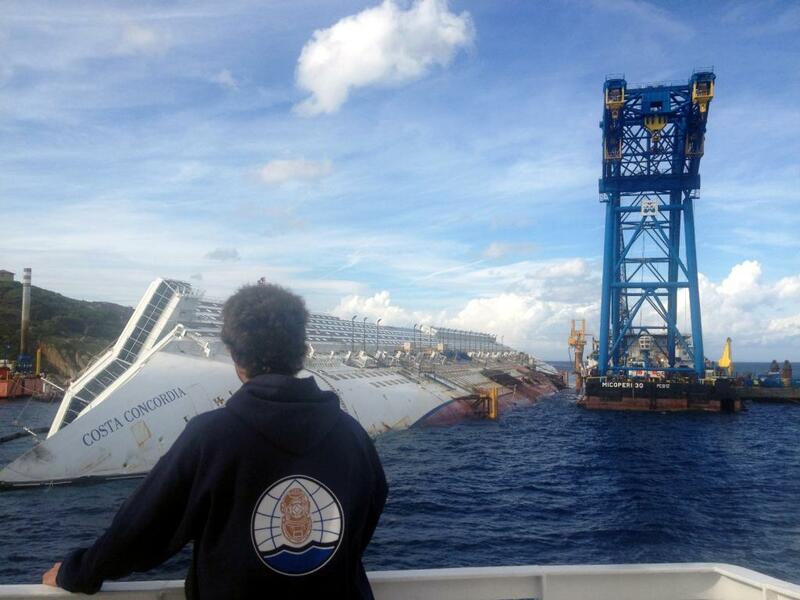 Parbuckling the Costa Concordia - Global Diving & Salvage, Inc. Global Diving & Salvage, Inc. was contracted by Titan / Micoperi, JV to assist with the largest salvage project (by weight) in history, the salvaging of the Costa Concordia cruise ship which ran aground off Isola del Giglio, Italy. The initial phase of the project required ‘righting’ the vessel which lay on its starboard side. Divers from 26 countries were brought in to prepare the vessel for parbuckling, moving the ship from its side to an upright position on its keel.